The harrowing story of the exploitation and abuse of a resilient group of men with intellectual disability, and the heroic efforts of those who helped them to find justice and reclaim their lives. Dan Barry's gifts lie in meting out the horror in small doses, though, never giving us more than we can handle, interweaving the hard stuff with moments of levity and grace. It would be easy to present a story such as this one in black-and-white terms, all villains and heroes, pain and redemption. Barry skillfully manages to resist this trap, painting the book's characters with all of the nuance and gradation of the human experience ... The prose itself is at times luminous; hard-hitting journalism shot through with flourishes of the best literary nonfiction. 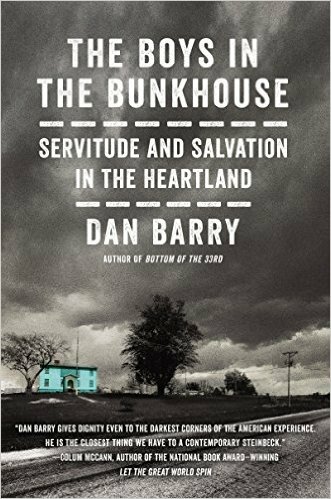 “The Boys in the Bunkhouse: Servitude and Salvation in the Heartland clearly and engagingly explains the problems and constructs the arc of evolving public understanding of mental disabilities over that 30-year period. Barry’s narrative is gentle and respectful toward these men. 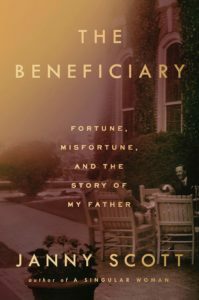 Many were rejected or mistreated by their families, who turned them over to the state of Texas, which eventually passed them on to a labor broker. 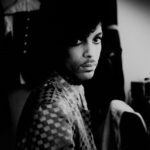 It is a powerful story, weakened only slightly by the author’s sometimes clumsy attempts at folksiness ... Yet one can forgive Barry his stylistic shortcomings. As an exposé of a moral catastrophe, this is a vital piece of reportage. It stands alongside Gabriel Thompson’s book on the undocumented, Working in the Shadows, and bears comparison to recent reports on the exploitation of foreign laborers with temporary work visas. What did you think of The Boys in the Bunkhouse: Servitude and Salvation in the Heartland?